KONG Airdog Squeakair Ball Large is a very popular chew toy for dogs. Kong products are known for their durability and well as offering dogs and dog owners a toy that can lead to hours and hours of activity and entertainment. Kong chew toys are made in a variety of shapes and sizes, ensuring that you and your dog will find the perfect one. 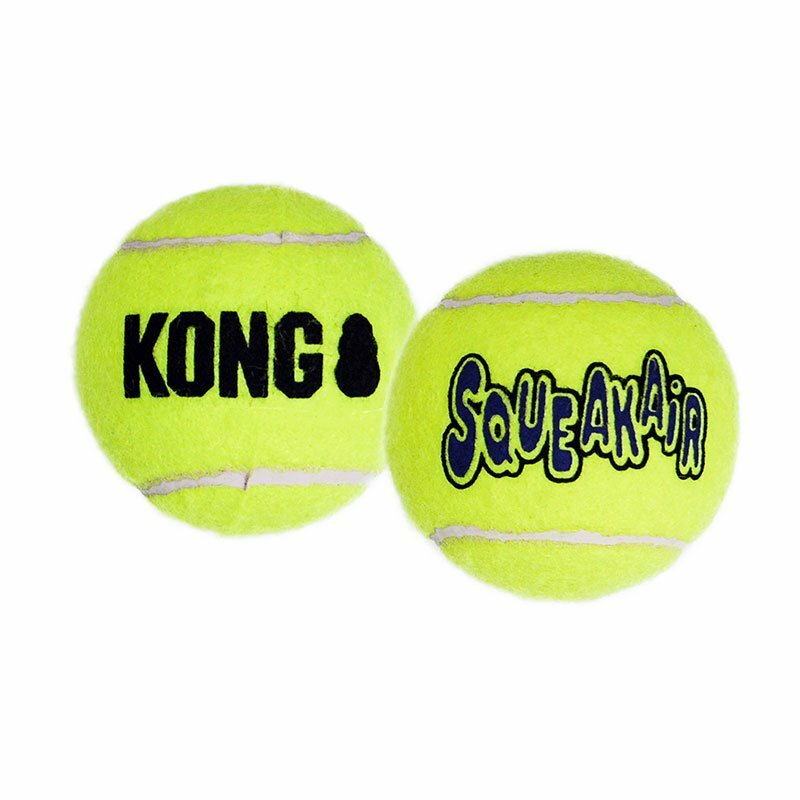 KONG Squeaky Tennis Ball - Large combines two classic dog toys - the tennis ball and the squeaker toy - to create the perfect fetch toy. Kongs durable, high-quality Squeakair Ball will not wear down your dog's teeth. It's made with special non abrasive felt, compared to the abrasive material on normal tennis balls. KONG is a pet-safe, built-to-chew rubber that dogs love. Contains 1 KONG Squeaky Tennis Ball - Large.